How aware is Moroccan society of autism? The “Don’t Forget Me” film at Rabat’s International Film Festival promises an honest take on what it is like to raise a child with autism in Morocco. 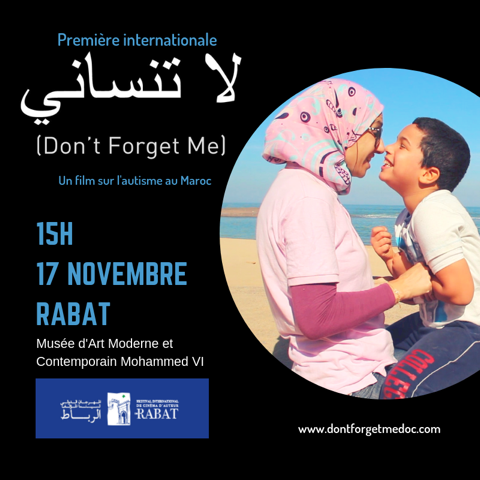 Children with autism in Morocco-"Don't Forget Me"
Rabat- The documentary, which will premiere on November 17 at Rabat’s 23rd film festival at Mohammed VI Museum of Modern and Contemporary Art, may be just as its title suggests: A plea for the world to care for and not forget about its children with autism. “Don’t Forget Me” depicts the challenges that Moroccan parents and their children with autism have to deal with in a society that is not yet equipped to handle autism. In 28 minutes, the documentary will showcase the different facets of autism and the discrimination children experience, denying them the right to receive education at school like their peers without disabilities. The short film, produced by American journalist Jackie Spinner and directed by Moroccan Rajae Bouardi, was inspired by Spinner’s two Moroccan-born adopted children with autism, 5-year-old Samir and 3-year-old Rafi. 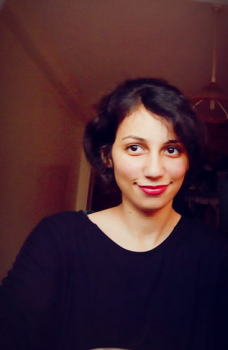 Souad Chelhani, whose twin boys are featured in the film, wanted to give her children a voice. “We are their voices. We must show our children that it is wrong for society to be cruel and refuse to include them. They have a human right to exist, to live without prejudice. They have the right to go to school, ” Chelhani said. “Don’t Forget Me” follows the story of three families and their children on the autism spectrum. The documentary takes the viewer into the homes and schools of the children. The second family is that of 7-year-old Hamza who also goes to a public school. Hamza’s family pays for an aide or “shadow,” who accompanies him to school. Hamza has a twin brother, Taha, but because the family cannot afford two aides, Taha stays at home. The third family is Othmane’s who goes to a private school on a scholarship. His family, like Hamza’s, pays for an aide who keeps him company at class. Othmane was born in the same hospital three days before Samir, Spinner’s son. Spinner adopted her sons from an orphanage in Meknes when they were infants. The boys now live in the US. In 2017, Spinner came back to Morocco to make the documentary. Columbia College Chicago and the Pulitzer Center for Crisis Reporting provided the initial funding for the documentary through grants. Moroccan filmmaker Hakim Belabbes and Chicago director Michael Rabiger advised the project. “Don’t Forget Me” will feature in Arabic with English subtitles for US audiences and Tamazight (Berber) subtitles for a Moroccan audience. Spinner touched on a spot-on truth in Morocco when it comes to autism. “It’s sad to see how hard the parents of the Moroccan boys in the film work to find opportunities that I take for granted, including the right my sons have in America to go to school,” she stated. Myths and misinformation surrounding autism are still prevalent in Morocco. The lack of understanding of the condition makes it hard for people with autism to become active members of Moroccan society. “People with autism are violent,” “People with autism are intellectually deranged,” “Children with autism are a result of bad parenting and can be cured.” The sentiments are some of the myths surrounding autism in Morocco, but perhaps the most dangerous of all is the belief that autism is, in itself, a myth. WHO estimates that 1 in 160 children worldwide have autism. Morocco has no relevant official data for autism numbers. Caring for children on the spectrum is demanding, especially those with severe autism. It is especially difficult when access to specialized healthcare services is inadequate. In Morocco, healthcare focused on autism is nearly non-existent. Parents face unbearable obstacles and are left to deal with their autistic children alone. Children with autism, without early intervention, make it even harder for their parents and for them to benefit from the most basic rights. Morocco’s already ailing educational system, does not provide much scope for children to study freely. The children with autism sometimes find a small space in classrooms in public schools, like Hamza and Momo. The lack of research or medical training specialized in autism is one of the biggest issues causing misconceptions and lack of awareness about autism in Morocco. In contrast to people with autism being “violent,” as many perceive them to be, some children with autism are in fact the ones most vulnerable to violence. One video which went viral in 2016 shocked viewers across the internet, depicting abusive treatment towards people with autism. The video showed the president of the “Besma Association for Autistic People” beating his sister with autism in the Rabia al-Adawiyya school yard in Taroudant, near Agadir. At the time, the Regional Directorate of the Ministry of Education in Taroudant promised to deal with the offender severely. Moroccans with autism can take hope and find support in the autism associations in Morocco, such as Collectif Autisme Maroc in Rabat or Association Sos Autisme of Casablanca. The associations aim to help families dealing with autism, no matter the obstacles.